Tig has a point, now that images are non-borked we can post pretty pictures again. Harrrrgh...We demands more Zombie Strippers! Good point Tig. This bunch doesn't want to appear silly now do we???? Oh my! 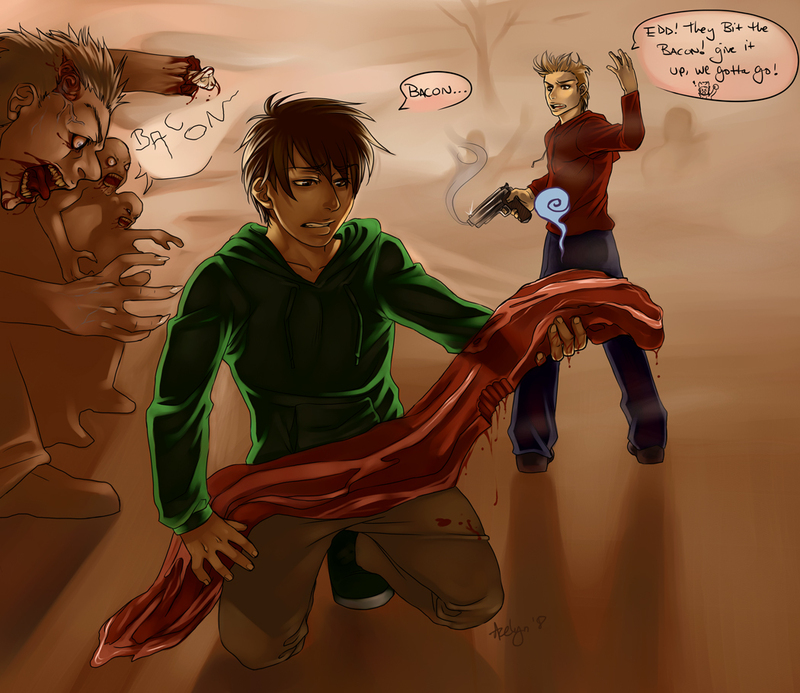 Sweet bacon has become a Zombie!!!!!! Even worse yet, she's morphed into a human Zombie. THE HORROR OF IT ALL!!!!!!!!!!!!!!!! Just ain't right I tell ya. Weren't me that bite her, otherwise she would have been a kitty Zombie!!!!!!!!! No time fer silly avatars must find mar Brainezes! Whats that at yer feet there tig? It's the left half of a head. What appened to thee right alf of your head? Now we'll hafter call ye Arfur!